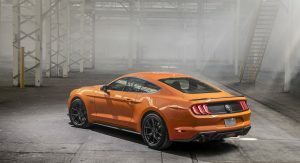 If you ever felt like the base four-cylinder Mustang is in need of some mods to up the performance ante, then you might want to take a look at the 2020MY High Performance Package. 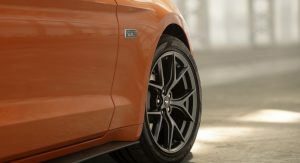 Available on both the coupe and convertible, the package brings a de-tuned Focus RS’ 2.3-liter turbocharged four-cylinder engine with some changes, including a redesigned turbocharger. The mill is put together in Valencia, Spain, before being shipped over to Flat Rock. 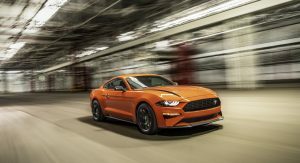 As for the final result, the numbers to remember are 330 hp (335 PS / 246 kW) and 350 lb-ft (475 Nm), when running on premium fuel, which translates to 20hp more than the 310hp version of the 2.3L Ecoboost in the standard Mustang, and 20hp shy of the 350hp Focus RS, while torque remains unchanged in all three applications. 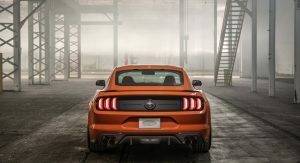 Ford says the muscle car can sprint to 60 mph (96 km/h) in the mid-four-second range, while top speed has increased by 10 mph (16 km/h), to 155 mph (250 km/h) over the previous EcoBoost Performance Package, and 34 mph (55 km/h) over the base EcoBoost Mustang. Further updates include the addition of a fully active quad-tip exhaust system, with a more aggressive soundtrack. 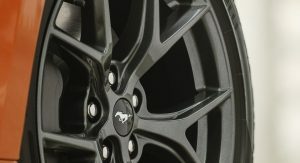 The chassis has been tuned with new suspension bits and front four-piston caliper brakes that are sourced from the V8-powered Mustang GT. 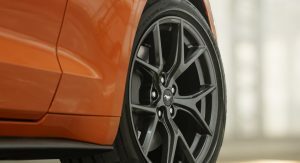 There’s also a 3.55 ratio limited-slip rear differential. 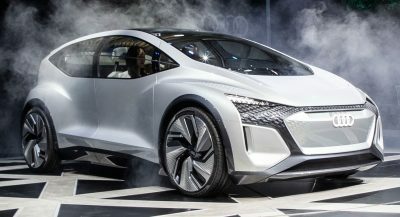 Combined with the recalibrated steering, ABS and stability control, and a 53/47 weight distribution, the car is said to be suitable for track use, but will put a big smile on the driver’s face on coastal and mountain roads, too. 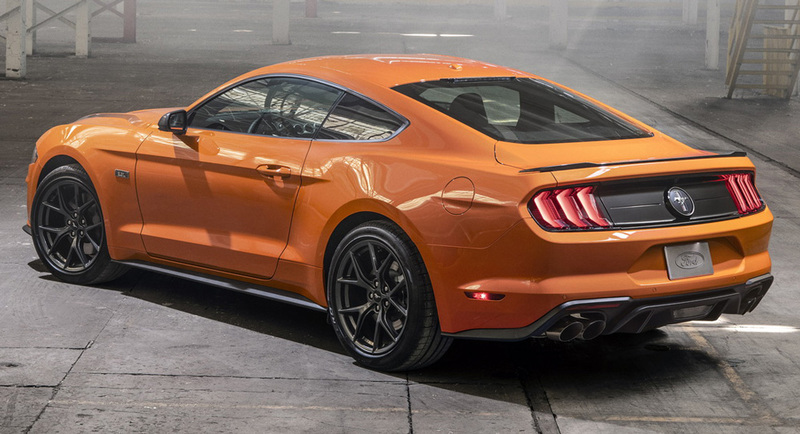 The new front splitter and belly pan and brake cooling ramps are borrowed from the Mustang GT. 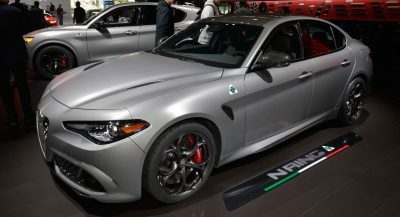 Elsewhere, the High Performance Package adds a blacked-out grille, side badges, magnetic gray mirror caps, rear spoiler, metallic gray stripes on the hood and 19″ wheels shod in 255/40 summer tires. 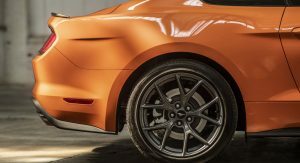 If you want to further customize your Mustang, there’s an EcoBoost Handling Package that introduces wider 19″ wheels in 265/40 Pirelli P Zero Corsa4 tires, a 24 mm (0.95 in) solid rear sway bar, Torsen limited-slip rear differential, specially calibrated MagneRide dampers and semi-metallic brakes. 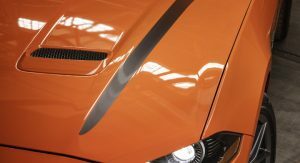 This kit can be had with either the 6-speed manual or 10-speed automatic transmission versions of the coupe. 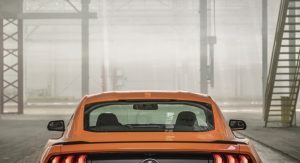 Standard on all Mustangs for the 2020 model year is the FordPass Connect that allows users to interact with the vehicle from a distance using their smartphones. 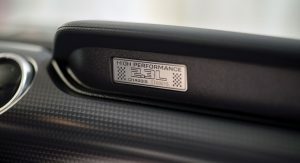 The SYNC3 system is an extra and adds improved voice recognition, 911 assist and two USB ports. 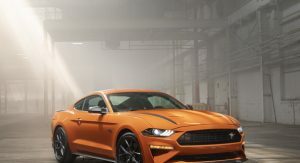 Ford is also introducing four new colors called Grabber Lime, Twister Orange, Red Hot Metallic Tinted Clearcoat and Iconic Silver. 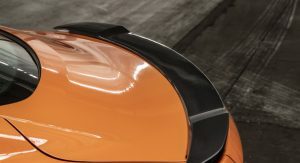 The base model rides on standard 17-inch silver-painted wheels. 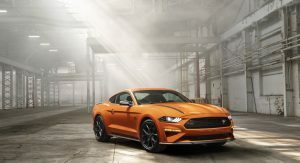 The first 2020 Mustangs equipped with the High Performance Package, which is available for both the coupe and convertible, regardless of the selected gearbox, will arrive at dealers this fall. 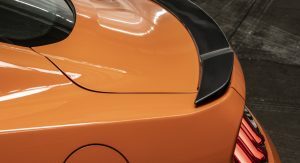 We’ll see the new model at the New York Auto Show this week. 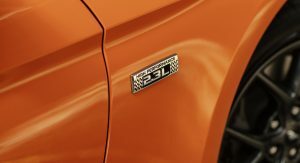 Finally, Ford has an Answer for the Camaro 1LE Turbo. This version could be the funniest, but still no ford for me because the authorized dealer owns me minimum a new one! 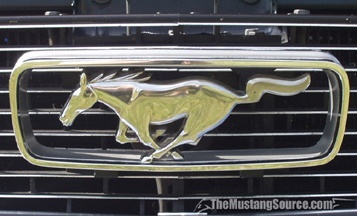 Mid cycle refresh, OK. Not much going on…the crosshatch grille and the offset pony don’t look so hot. IT’S LOOKS ALONE HAVE THE CAMARO BEAT. I DON’T UNDERSTAND WHY THEY DE-TUNE THE ENGINE OR BUILD IT IN SPAIN. IT IS AN AMERICAN MUSCLE CAR AFTER ALL. Agreed about the looks.. that Camaro is Fugly.. YES, ESPECIALLY SINCE THE FACELIFT. It’s just cheaper to build overseas that’s probably why. 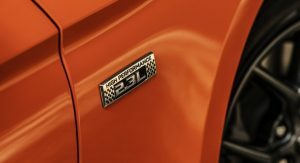 Yeah, I understand to the 5.0 emblems on GTs but I probably wouldn’t advertise a 4 cylinder on a Mustang no matter how good it might be. I agree not something I would want to advertise that I have a four-banger haha! Then again i’d never buy a four-banger in this current market! 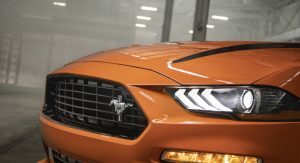 I am a sucker for the s550 model design.. getting this thing to 400 hp should be simple with a good tune.. only problem I see here is that it will not be cheap and getting at least a base GT might be a nicer sounding option. 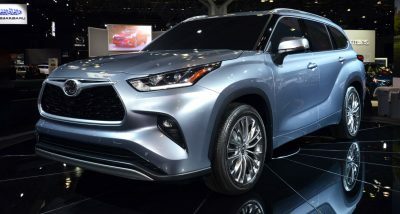 It might sell better in countries that levies taxes based on engine displacement. 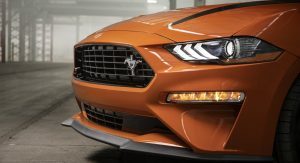 They should’ve called it the SVO, it’s basically the same thing: a high-performance 4-cylinder Mustang! 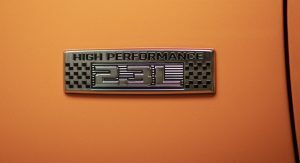 2.3L High Performance sounds too generic. They can’t use SVO anymore. I believe they don’t have the trademark for the name anymore. 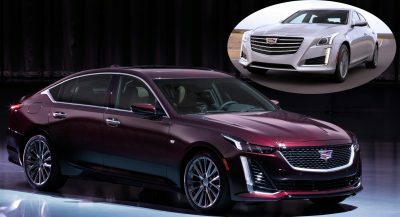 They let it go and another car company has it now. Either Aston Martin or Jaguar, I forget which one it is. 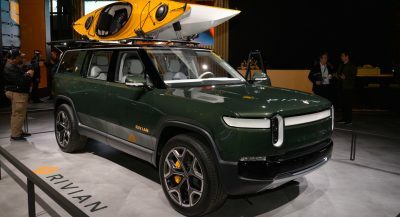 This thing would be an absolute daily driver dream, great gas mileage to go along with great performance. These are amazing times that we live in. 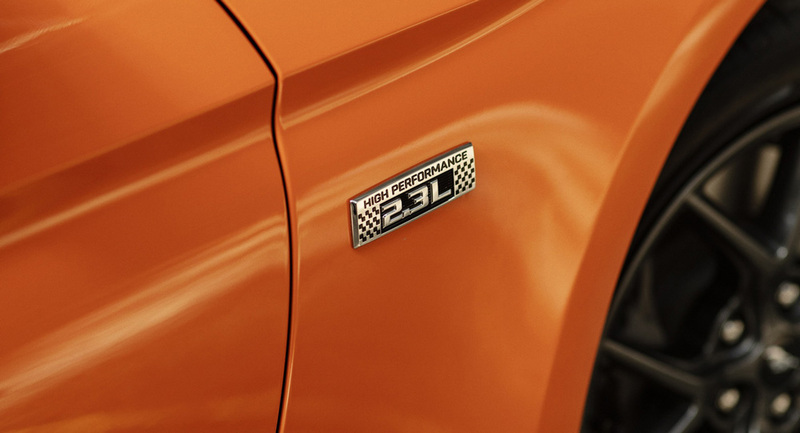 I have an Cobb tuned mustang I put 2000 s-miles a month..
Beautiful looking car, especially in that orange. Its too large a sports car for my tastes and felt more like a very capable sports sedan to me. Still, I think they did a great job on the design on this current generation. why de-tuned? should have made the same or better than the focus 350hp.